It is the cheerful chirping of birds I hear first as I slowly wake up on a San Miguel morning. This is followed shortly after by the pealing of church bells. For some reason, both these sounds evoke powerful memories of my childhood. 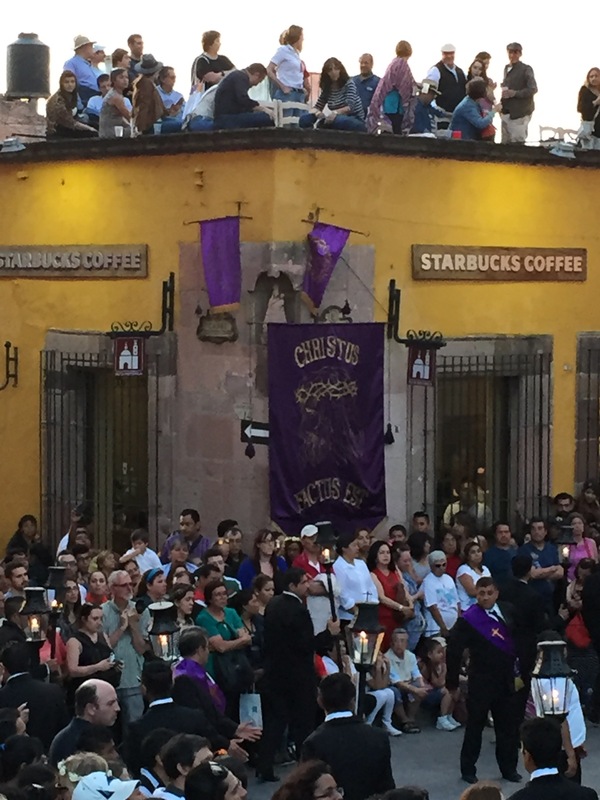 Attending church weekly was a big part of that childhood and to this day, wherever in the world I am … (and for some reason, my travels seem more often than not, to coincide with Easter) … I sit quietly in churches of all denominations, with services held in various languages. I pay ‘no nevermind’ to whether I understand the language. I have sat through services at the Vatican, where Easter mass was held in Latin by Pope John Paul II, to services in Greek Orthodox churches, Romanian, Hungarian, Spanish, Hindu Ashram Ganga Aartis, Buddhist temples and yes, I have even once sat on the floor of a mosque in Egypt. Sitting down, whether in church pews, marble stairs, or floors in temples and mosques, never ceases to fill me with comfort. Religions at their finest should bind and join us as members of the human race and should never divide us. 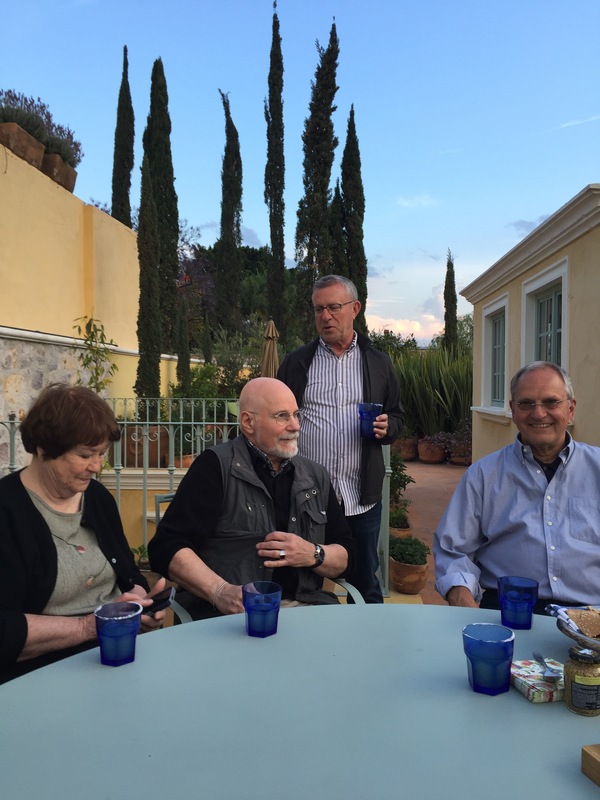 If I have discovered anything in my many years as a nomadic waunderer, it is that we are all connected, whatever our languages, customs or religions. 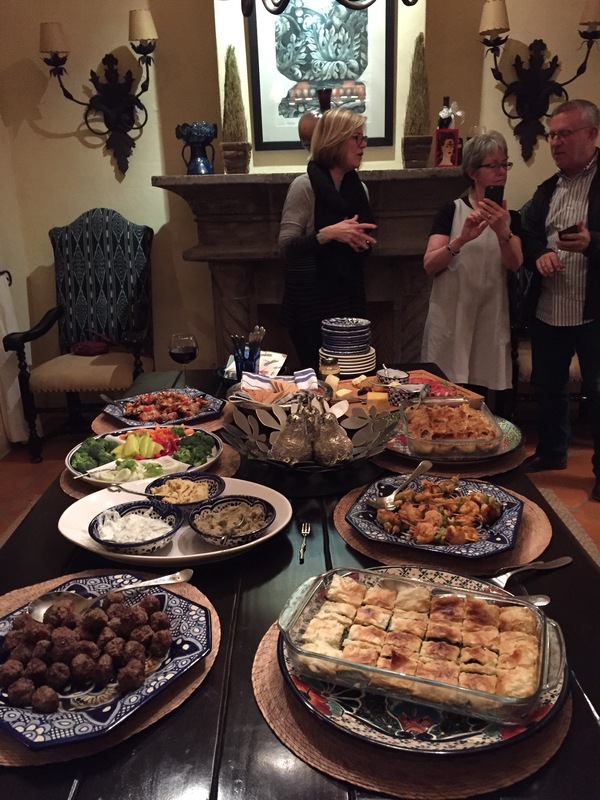 We all aspire to the same comforts in life … to love and be loved, kindness, compassion, companionship, comfort from outside and inside forces, nutritious food to fuel our bodies, a roof over our heads or perhaps not, as many prefer the outdoors if weather complies. I am not particularly a religious person in any formal sense and the only church I attend with regularity, other than my restful stops at churches around the world, is located in nature … the mountains, the oceans, the forests, the deserts, the pristine mountain lakes and rivers … places that replenish and restore my heart and soul, filling me with peace, “a peace that passeth all understanding”. 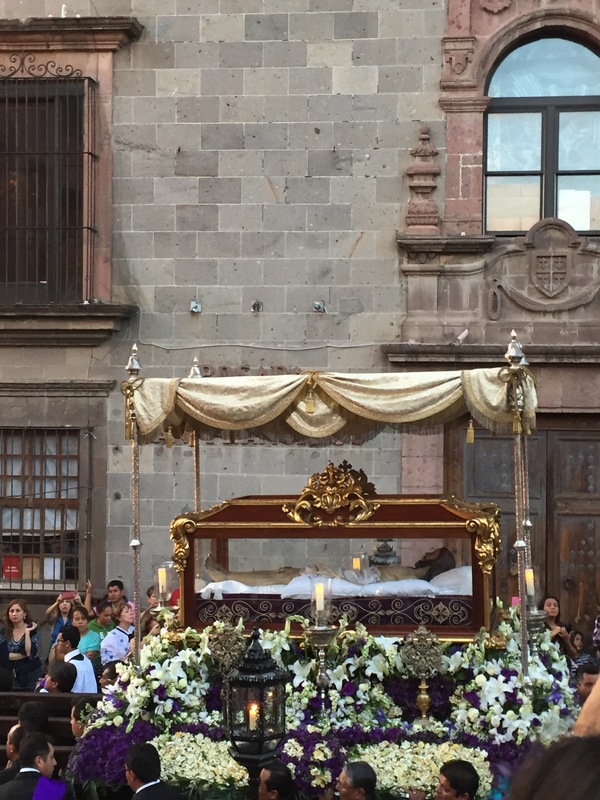 So rest my thoughts on this quiet Monday morning, following a week of Easter processions and celebrations in this most religiously Roman Catholic of cities, San Miguel de Allende. To be back in this little cobblestoney city of San Miguel is as comfortable as sliding my feet into a pair of well worn Birkenstocks. Every corner I turn fields a well worn path to a favourite cafe, wine shop, mercado, farmacia, restaurante, a textile shop, art gallery, yoga studio and my very favourite, the biblioteca, where I regularly attend interesting talks on global issues … I breathe it in and count my blessings, happy to be back here for another month, leaving behind an unseasonably warm brown landscaped Canadian winter. 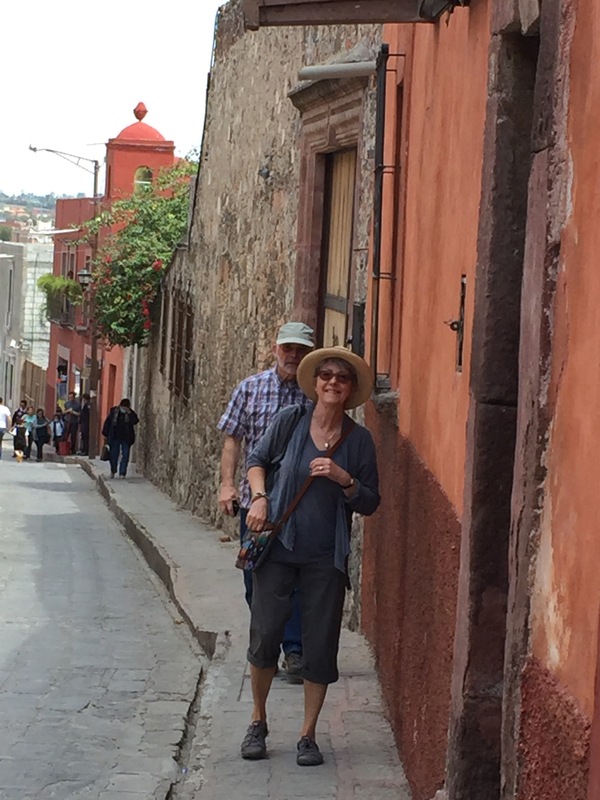 My good friend Bev and I, along with her husband Dave, who arrived a few days ago, are as comfortable as good friends should always be, exploring anew, our favourite little central Mexican city. 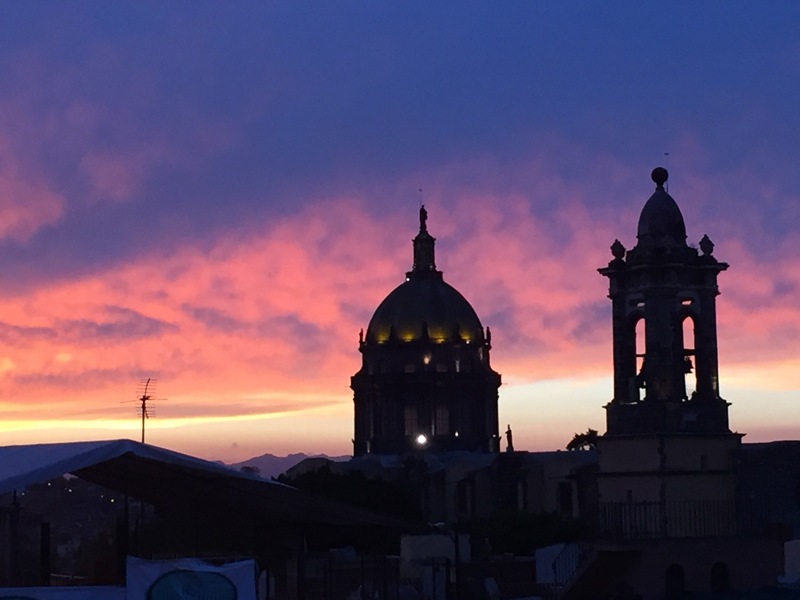 We often head to the Jardin, the life centre of San Miguel with the grand dame of churches, the Parroquia, proudly declaring its ruling presence. 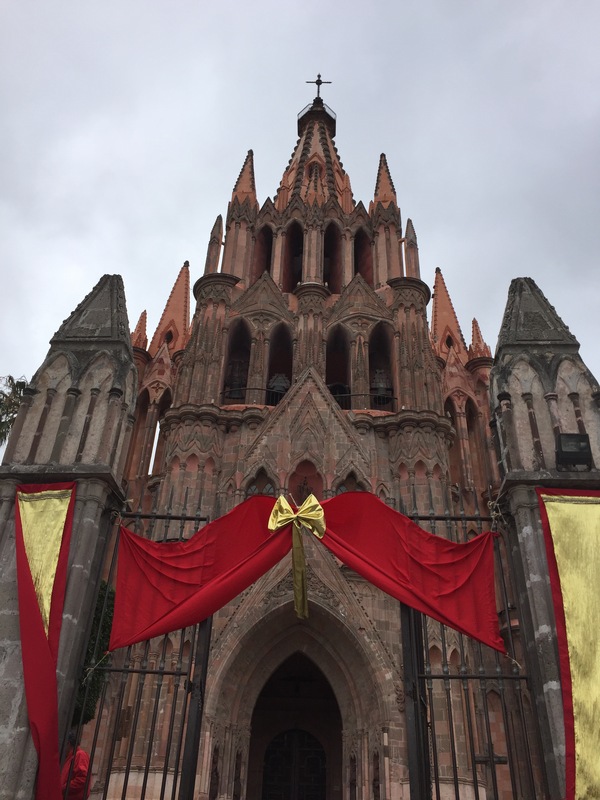 Built in 1555, refaced in 1880, remains the most photographed church in all of Mexico. 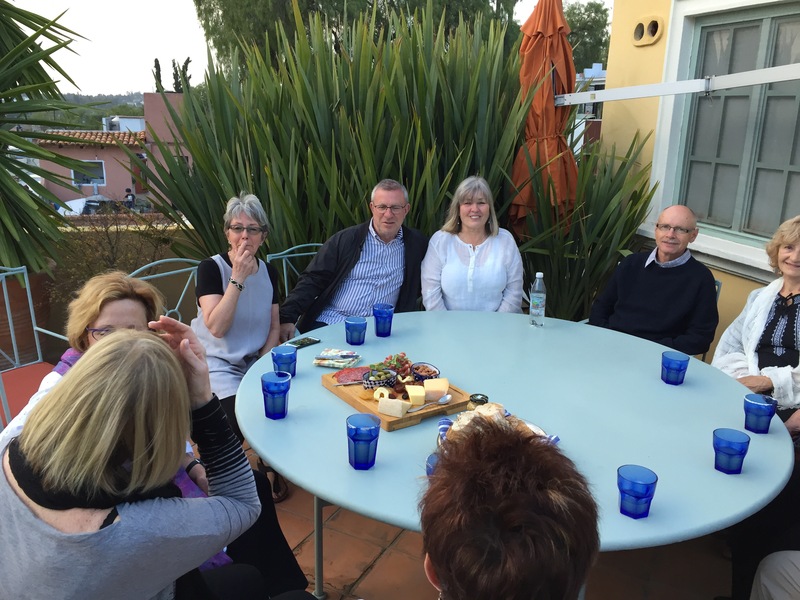 It is where everyone gathers, locals and tourists alike, to meet up or just to sit a spell, savouring the ambiance. When alone, I often walk into the Parroquia to sit quietly in meditation. Instantly we are drawn into the culture of the place … a musical concert in the canyons of the Botanical Gardens, was in itself a mystically magical experience! …. the ‘alternative movie’ margarita popcorn nights, in a twenty seat theatre, remain a favourite! 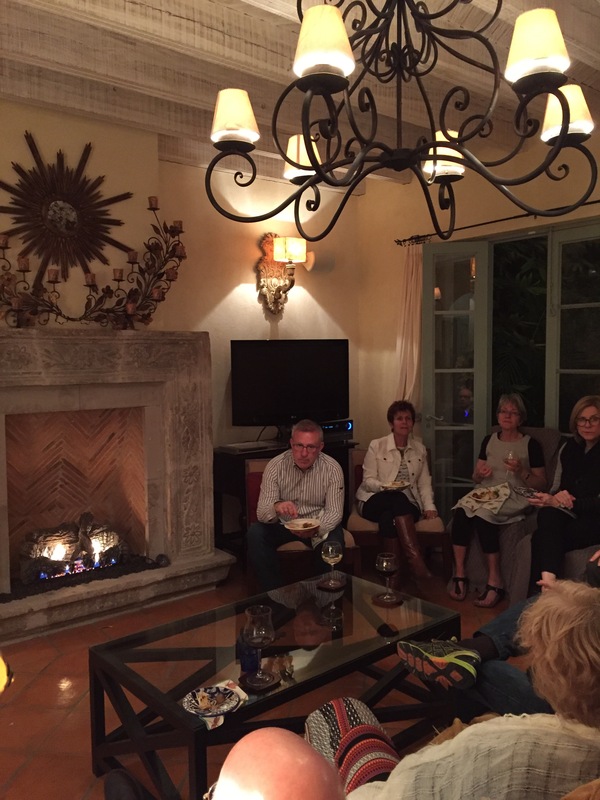 We hosted our first party last night, feeling very much like San Migueleze residents :)!! 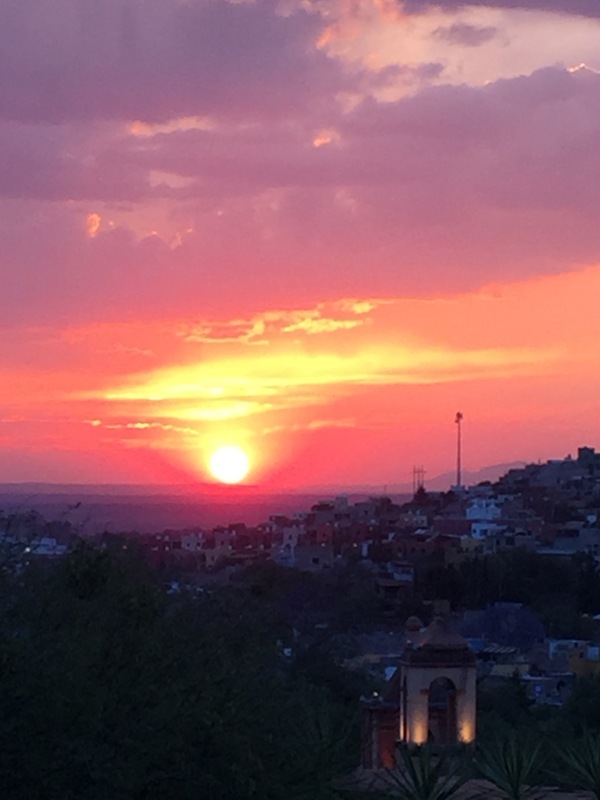 I remain surprised at how much I really enjoy living here … yes, it has its share of pollution, crowds of sorts, sometimes grumpy gringos, but the overriding draws remain the overall quiet understated charm of the city and the energy produced by the friendly happy kind local Mexican residents …. the indigenous, the Mayans, the original inhabitants of Mexico! 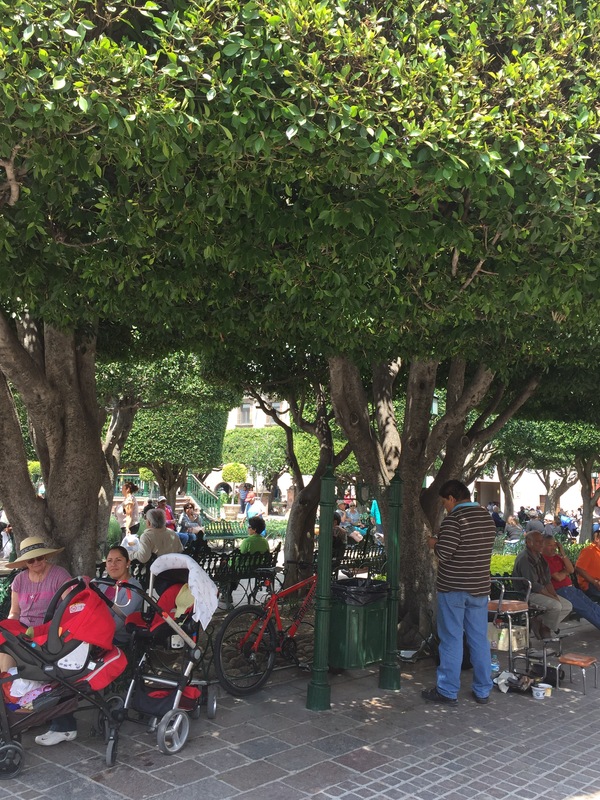 As Mexico City is only a two hour drive away, the streets of San Miguel are teeming with Mexico City residents most weekends, wanting the fresher air of SMA much like we in Calgary head for the mountains. I have no idea if I will always be as enthralled … I am living in the very zen like present moment here … it is enough.